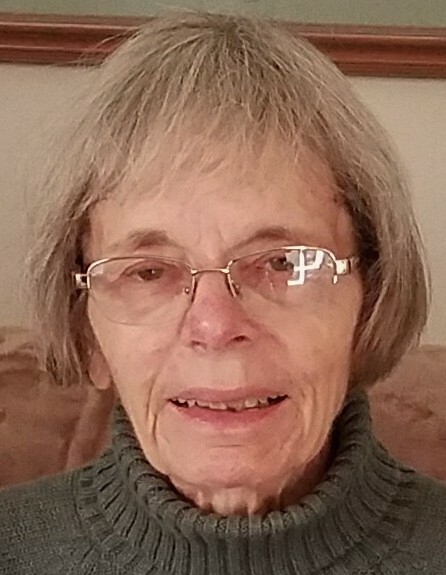 Patricia Louise Strange, age 77, of Griffith, entered into eternal life on Monday, December 3, 2018. She is survived by two daughters; three grandchildren; numerous great grandchildren; one brother; one sister; many nieces, nephews and extended family. Preceded in death by her beloved husband, one son and her parents. Funeral Services will be held on Thursday, December 6, 2018 at 10:30 a.m. at Bocken Funeral Home, 7042 Kennedy Avenue, Hammond (Hessville) with Rev. James A. Thomson officiating. Private cremation will follow with burial at Danville National Cemetery in Danville, IL. Friends are invited to meet with the family for a time of visitation on Wednesday, December 5, 2018 from 2:00 p.m. until 7:00 p.m.
Pat was a lifetime resident of the Calumet Area and a longtime faithful member of Covenant Presbyterian Church where she was part of the Sojourner Sunday School Class and the Eunice Ladies Circle Club. Pat was retired from the Lake County Welfare Department as a social worker. She was a graduate of Calumet College of St. Joseph in Whiting, IN. Pat enjoyed nature and bird watching; in her younger days she participated in English style horse riding. She was a member of Thorn Creek and Sand Ridge Audubon Societies both in Illinois. Pat was a loving mother, grandmother, great grandmother and friend who will be dearly missed. For more information you may call Bocken Funeral Home at (219)-844-1600 or visit us at www.bockenfunerals.com.